Mr. Cotton: I - I can't believe it's going to happen. Just two more hours, and they're going to kill him. Q: Is this a sequel to the 1933 'Invisible Man'? Q: Why does Inspector Sampson blow his cigar smoke in that peculiar way? Through the first few minutes of the story, it is learned to the viewer through lines of dialog from the servants that a young man named Sir Geoffrey Radcliffe (Vincent Price), sentenced to death for the murder of his brother, Michael, is scheduled for execution by hanging at dawn for the crime for which he is innocent. His fiancée, Helen Manson (Nan Grey), appeals to Geoffrey's cousin, Richard Cobb (Sir Cedric Hardwicke), to have the execution postponed in order to prove his innocence, but there's nothing he can do. 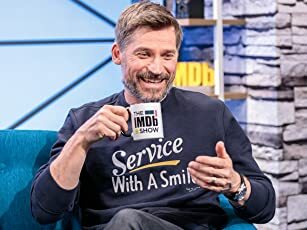 Later that night, Geoffrey's friend, Doctor Frank Griffin (John Sutton), brother to the late Jack Griffin, who had experimented with chemicals that cause invisibility, comes to the prison to pay his last respects to Sir Geoffrey hours before his death sentence is to be carried out. Some time later, the guards discover that Sir Geoffrey has escaped and they are completely baffled as to how he had gotten by them without anyone seeing him. Discovering some clothing left behind in his cell, it is Inspector Sampson (Cecil Kellaway) of Scotland Yard who realizes how this was done, especially since he is very much familiar with the Jack Griffin case nine years previously, which causes him to suspect the late scientist's younger brother, Frank, into having something to do with Geoffrey's escape. The next scene then focuses on the movement of bushes and trees in the woods, with a suitcase full of clothes opening up by itself. Sir Geoffrey is now an invisible man, thanks to Griffin for his discovery of a secret formula known as duocaine, which would leave Geoffrey transparent and free to go about to learn the truth as to why he was framed and to clear his name by revealing the true murderer. But the problem is for Griffin to come up with an antidote to prevent Geoffrey from going insane and meeting the same fate as his brother. While not up to the wit and pace to THE INVISIBLE MAN, THE INVISIBLE MAN RETURNS done have some added bonuses. It's quite obvious, however, to take notes and compare the original film with its sequel. The leading ladies in both films (Gloria Stuart and Nan Grey) are not only blondes, but play fiancées to the leading character. Claude Rains was virtually unknown to movie audiences when chosen to play the invisible man while Vincent Price has had some exposure in movies since his feature debut in 1938. The one thing both Rains and Price had in common while playing invisible men on screen was their individual distinctive voices. As with the earlier film, the sequel takes time for some prank humor by the new invisible man as he stalks Willie Sphears (Alan Napier), a night watchman through the woods. It is believed that Mr. Sphears, who had testified against him at his trial, might be the sole witness to his brother's murder. At times amusing, this sequence ends with some unpleasantness after Geoffrey takes the fainted Mr. Sphears, ties his feet and arms behind him, and leaving him alone in a room standing helplessly on a stool with his neck placed inside a hanged noose. Special effects, compliments by John Fulton, take precedence throughout the story with Geoffrey removing his goggles, bandages and clothing only to reveal nothing underneath, as well as one interesting highlight where the now wounded and cold Geoffrey is alone in the country, talking to the scarecrow as he "borrows" its clothing for his own use. Forrester Harvey, who appeared as Herbert Hall in THE INVISIBLE MAN, returns in this sequel assuming another character role, that of Ben Jenkins. What a welcome added attraction THE INVISIBLE MAN RETURNS would have been had Forrester Harvey and Una O'Connor reprized their original roles as the scared innkeepers encountering another invisible man. 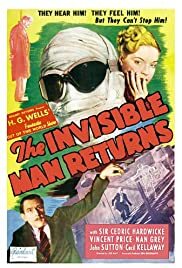 THE INVISIBLE MAN RETURNS would spawn two more sequels in the 1940s, THE INVISIBLE AGENT (1942) and THE INVISIBLE MAN'S REVENGE (1944), each featuring Jon Hall playing descendants to Jack Griffin, concluding in 1951 when another invisible man meets up with Abbott and Costello. In order not to forget the originator to THE INVISIBLE MAN, a photo of Claude Rains would be evident, as was in THE INVISIBLE MAN RETURNS. The overly familiar instrumental Frank Skinner underscoring used during the closing cast credits of this production would be heard in several other Universal productions of that period, including THE SON OF FRANKENSTEIN, THE TOWER OF London (both 1939), and BLACK Friday (1940), all featuring Boris Karloff.